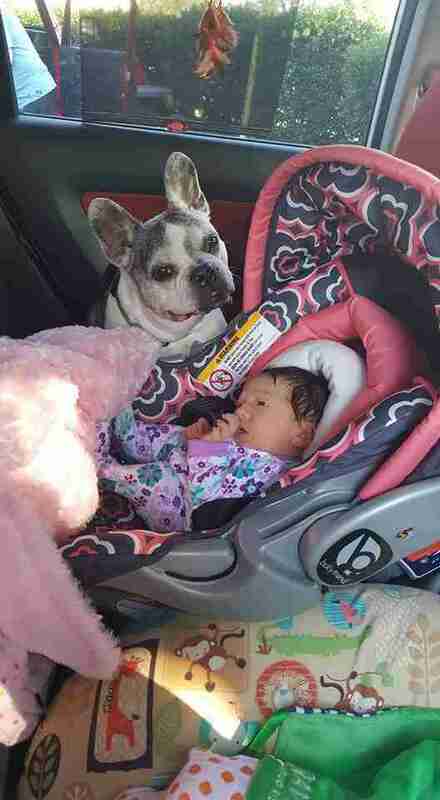 "It made us feel a lot better to see him watch over her during the car ride." 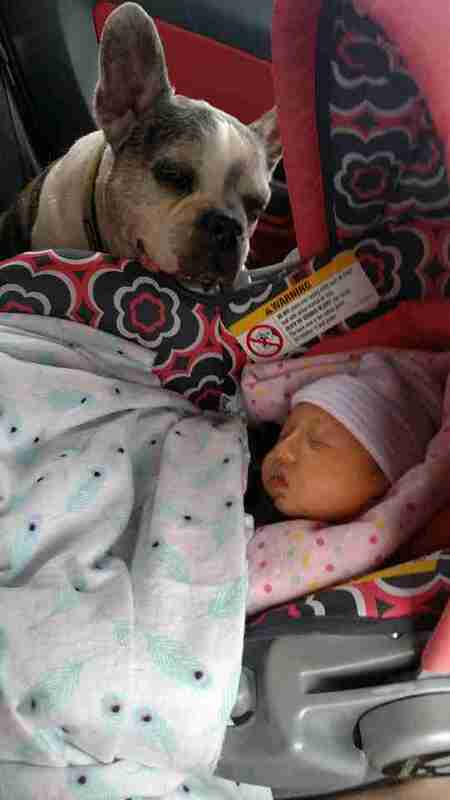 Arabella may be just a few days old, but she's already learned a great deal about the love of dogs. Born last week to the Kizer family in south Florida, Arabella and her parents had little time to settle in after returning home from the hospital. Hurricane Irma was brewing off the coast, but initial forecasts predicted they were relatively safe from the full force of the storm. "We had no plans to evacuate until the hurricane turned and headed straight for our home in St. Petersburg," Nick Kizer, Arabella's father, told The Dodo. "My wife and I decided it was too dangerous to keep her in Florida, so we packed up and headed for Tennessee." 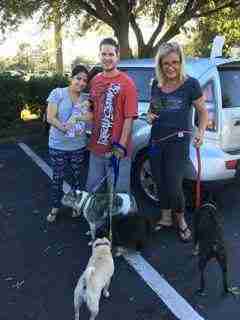 With that, the young family loaded up their car with Arabella and their dogs for the long journey north. It was a stressful ordeal having to leave home so suddenly with a newborn in tow, but Nick and his wife soon discovered that they weren't the only ones who considered Arabella's safety their top priority. Two of the family's dogs rode in the passenger seat as Nick drove. 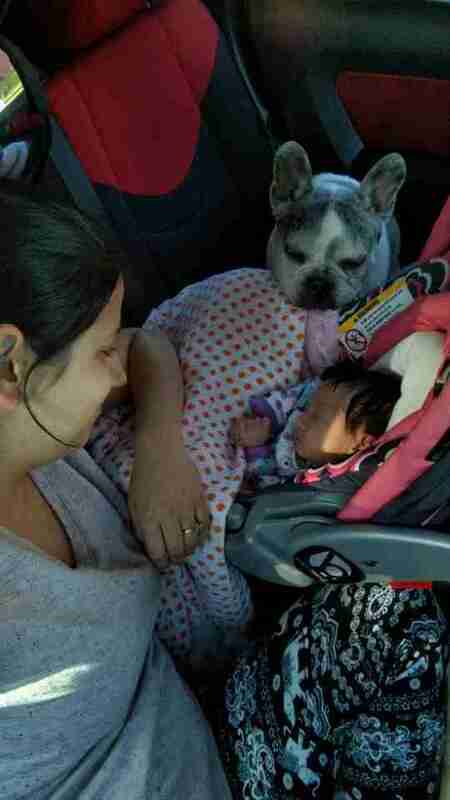 Arabella's mom, Dezzy, stayed with the baby in the backseat along with their 8-year-old French bulldog, Ziggy. The arrangement was cramped, to be sure, but having Ziggy so near to Arabella turned out to be a blessing in disguise. 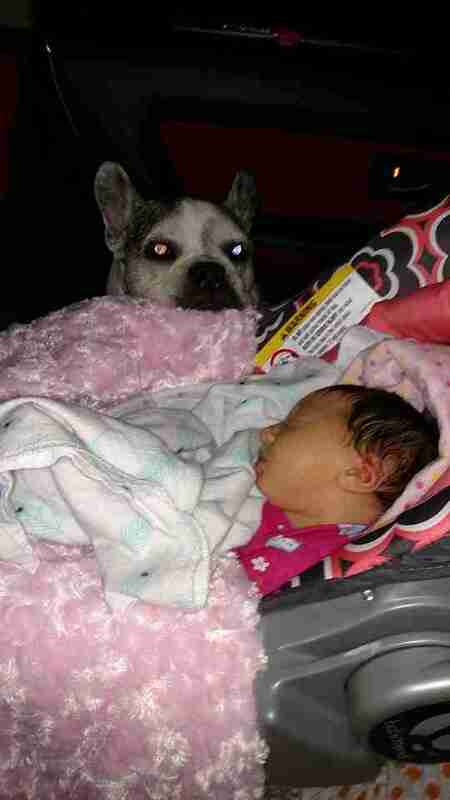 "Ziggy has always taken to puppies but we have never seen him around a newborn. We had been a little worried with how he would act around her, since this was the first time they were in a close space," Nick said. "[But] Ziggy just watched over my daughter Arabella the whole trip." As the hours passed, Ziggy held vigil on Arabella's behalf. 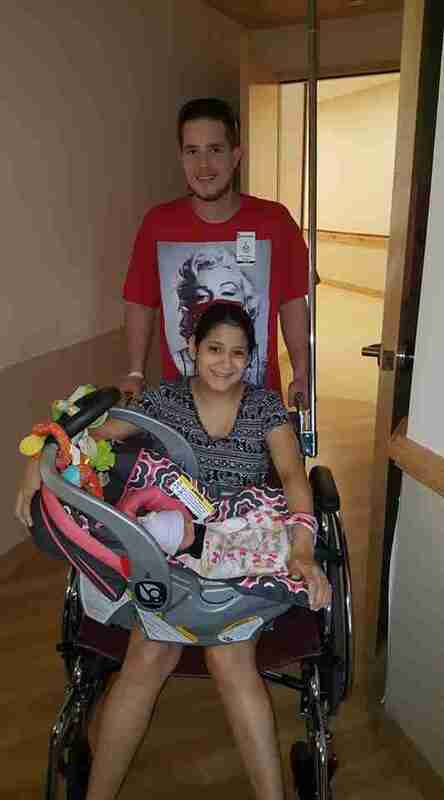 "It made us feel a lot better to see him watch over her during the car ride," Nick said. "It'd been stressful trying to find gas to get out of Florida and it was very comforting to see how peaceful it was inside the car." 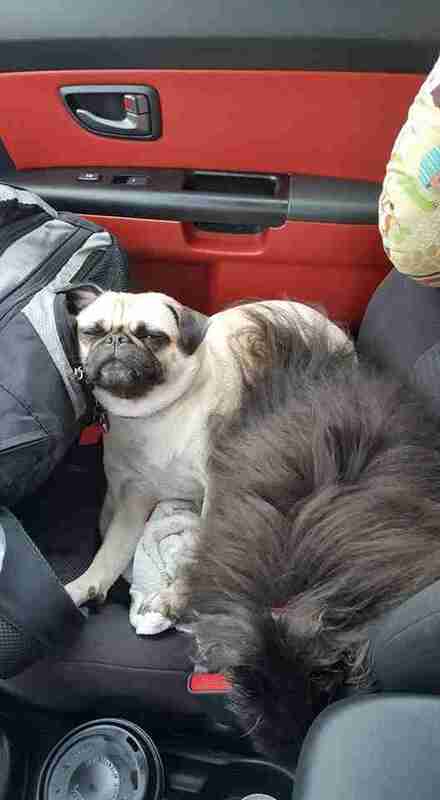 Of course, up in the front of the car, Nick wasn't without a companion by his side as he steered northward. His, however, were decidedly less attentive. Fortunately, the Kizers made it to safety in time. And, after waiting out the storm in Tennessee with relatives, they made the long return journey home to Florida to pick back up where they had left off. Their house survived the storm unscathed, though Nick said they did have some property that was damaged by Hurricane Irma. All in all though, the experience of having to evacuate their pets and daughter so shortly after her birth proved that they are as strong as ever because they're all together. And that will remain true as Arabella gets older. "We are very happy she will grow up with her own pack of dogs," Nick said. "Ziggy has been with us since my wife and I were 18, and now we're 27. Ziggy has been with us through my four years in the Army, trials and tribulations of life and it's amazing to now see him watching over our little girl."